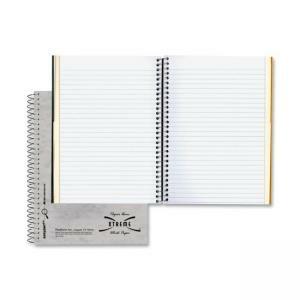 Media Size: 6.38" x 9.50"
Three-subject notebook features 120 microperforated white pages and a Pressboard cover in assorted colors. Each sheet is college-ruled. Notebook contains three double-pocket dividers. 16 lb. paper.